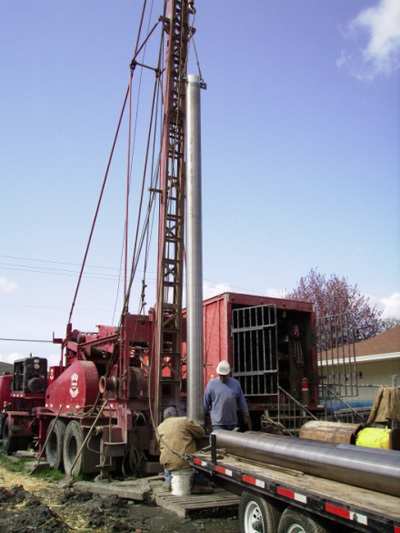 Project Description: The City of Junction City produces their drinking water from a network of four active groundwater wells. Westech Engineering assisted the City with a rehabilitation and improvement program to increase the quality and reliability of their water production. Improvements to the wells included the installation of new chlorination systems at each well house, pH and turbidity monitoring instruments and new telemetry stations. Each well was also provided with a power utility transfer switch to permit the use of emergency power generators. Westech also coordinated a rehabilitation project to recover yield from an existing well and provided the design and construction period services for the drilling of a new 1,100 gpm, 270 foot deep well.